Don’t normally promote stuff like this but think this could be the one exception; This Saturday (August 29) a new gym in town is launching Les Mills Group Fitness for the first time ever! So if you happen to be near Tauranga (quick drive down from Auckland) or feel like a road trip come party with us! The gym (FitCo) has spent hundreds of thousands building a brand new state of the art group fitness studio, complete with sprung floor and party lights! It’s awesome! All the details of the launch are available here – there’s even dozens of cans of protein powder as spot prizes and guest presenter Olly Fata will be there rarking it up. Check out the facebook link for more info. 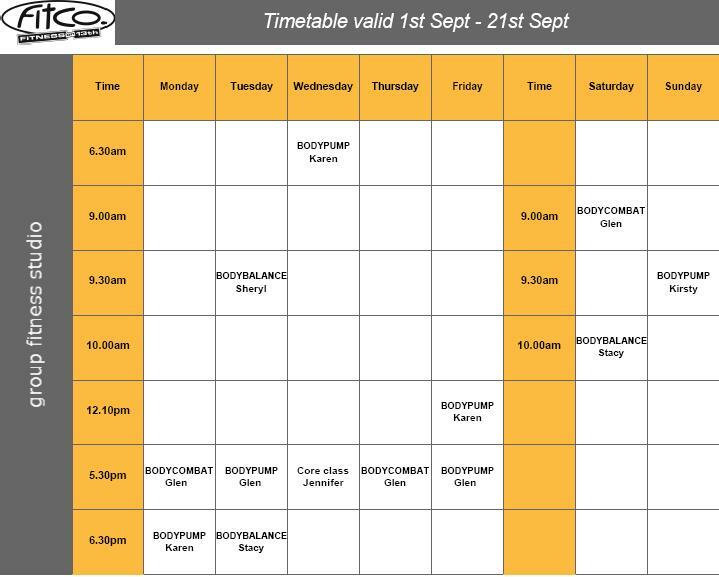 The gym is starting with combat, pump, balance and RPM and will be adding more classes and programmes in the coming weeks. Would love to see you there! 6 Responses to "If you happen to be in town…"
Tempting but afraid I can’t make it 😉 Have fun!!! Game for it! You’re there as the BC instructor and also BP’s. May the force be with you, Glen!